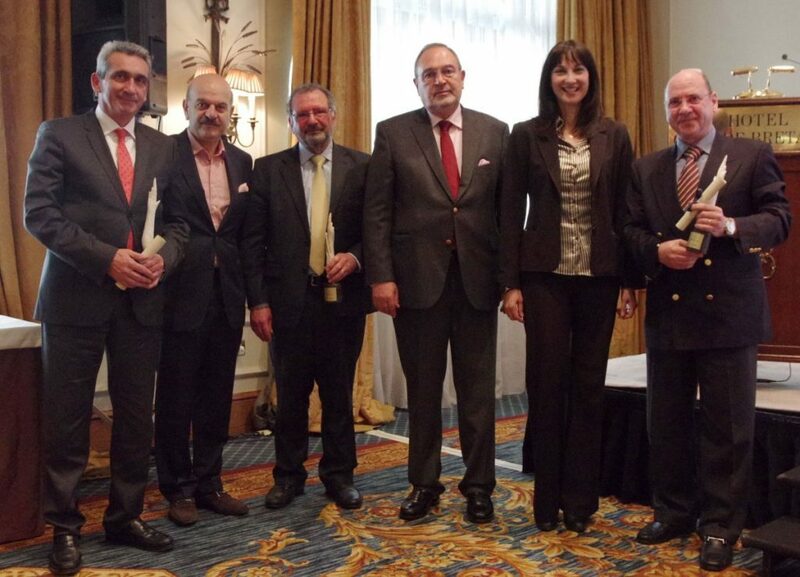 South Aegean Region Prefect George Hadjimarkos, FEDHATTA President Lysandros Tsilidis, ABTA President Noel Josephides, HATTA President Stathis Skretas, Greek Alternate Tourism Minister Elena Kountoura and Argo Travel Group Director Diamantis Pithis. 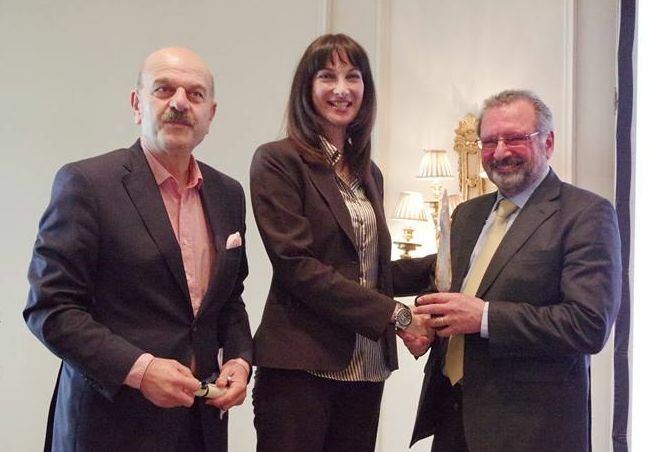 The Federation of Hellenic Associations of Tourist & Travel Agencies (FEDHATTA) on Tuesday honored the South Aegean Region and Argo Travel Group for contributing to Greek tourism and the Association of British Travel Agents (ABTA) for supporting Greece’s travel sector. The award ceremony took place in Athens on the sidelines of the federation’s official launch of the “Dodeka” action plan, which is designed to boost Greece as a year-round tourism destination. FEDHATTA honored South Aegean Region Prefect George Hadjimarkos for the recently launched tourism promotional campaign “Aegean Islands. Like No Other”. The goal of the region’s new campaign is to identify and promote the region’s tourist product through a specially designed and integrated set of actions aimed at target markets. The new strategy serves as a communication umbrella for all of the region’s islands. Each island has the opportunity to promote itself in accordance to its unique features. 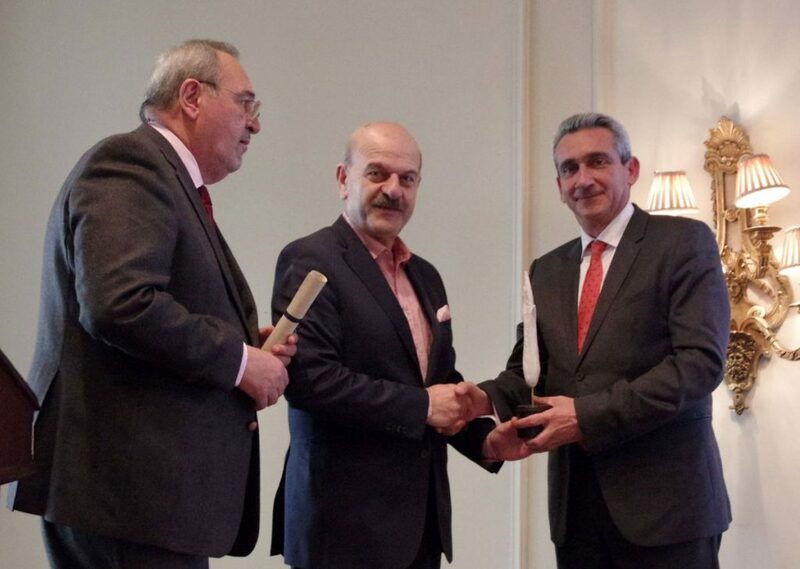 FEDHATTA honored the co-founder and president of Argo Travel Group, Dimitris Pithis, referring to him as the “scholar of tourism”. The award was accepted on his behalf by Argo’s director, Diamantis Pithis. A member of all major Hellenic and foreign associations (IATA, ASTA, HATTA, FIAV, ΠΕ.ΤΑ.ΓΑ, FSAV, ABTA) and internationally recognized for the quality of its services, Argo Travel sees a continuous and successful operation for over half a century. The Greek company has privately owned offices in the center of Athens with branches in Thessaloniki in Greece, Geneva in Switzerland and London in the United Kingdom. 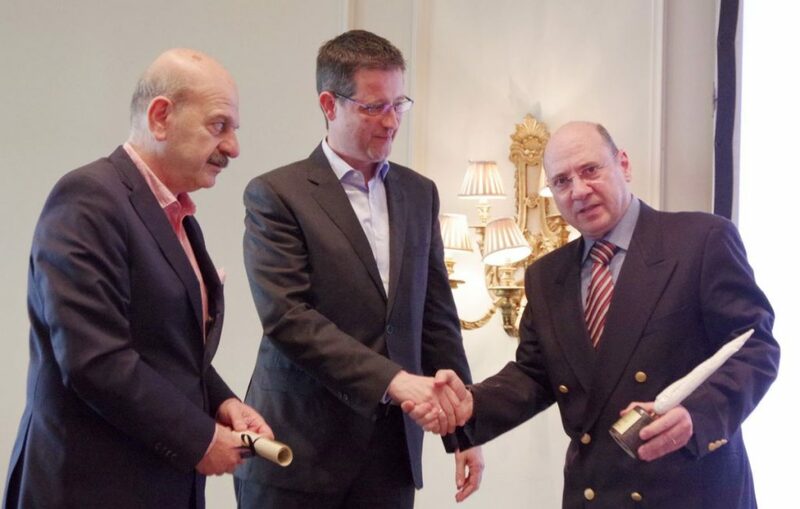 FEDHATTA honored the president of the Association of British Travel Agents (ABTA), Noel Josephides, for his continuous support to Greek tourism. It is reminded that last October, ABTA held its 2015 Travel Convention in Greece at the luxury resort Costa Navarino in the Peloponnese. The event attracted over 500 key players of the UK travel industry and was labeled “highly successful”. After the award ceremony, the Hellenic Association of Travel & Tourist Agencies (HATTA) held its annual general assembly.